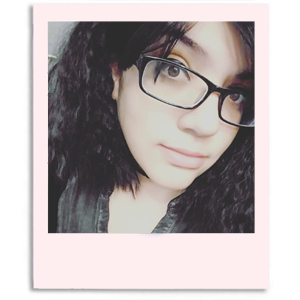 Hi guys, how's it going? I'm still feeling a lot of lower back pain, so I'm thinking of going back on the medication even though it makes me a space case. I apologize now if I babble more than normal in my posts the next few days haha. Today I have a brand new indie to introduce to you guys, say hello to Quaint Paints Lacquer! 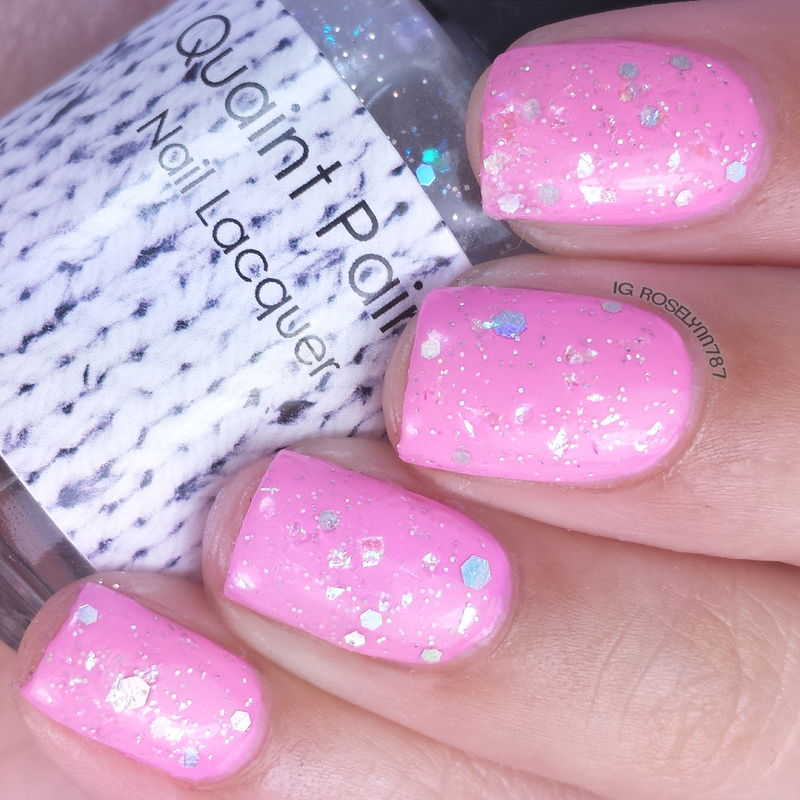 All polishes available from Quaint Paints Lacquer are the typical 5-free, cruelty-free, and vegan-friendly. 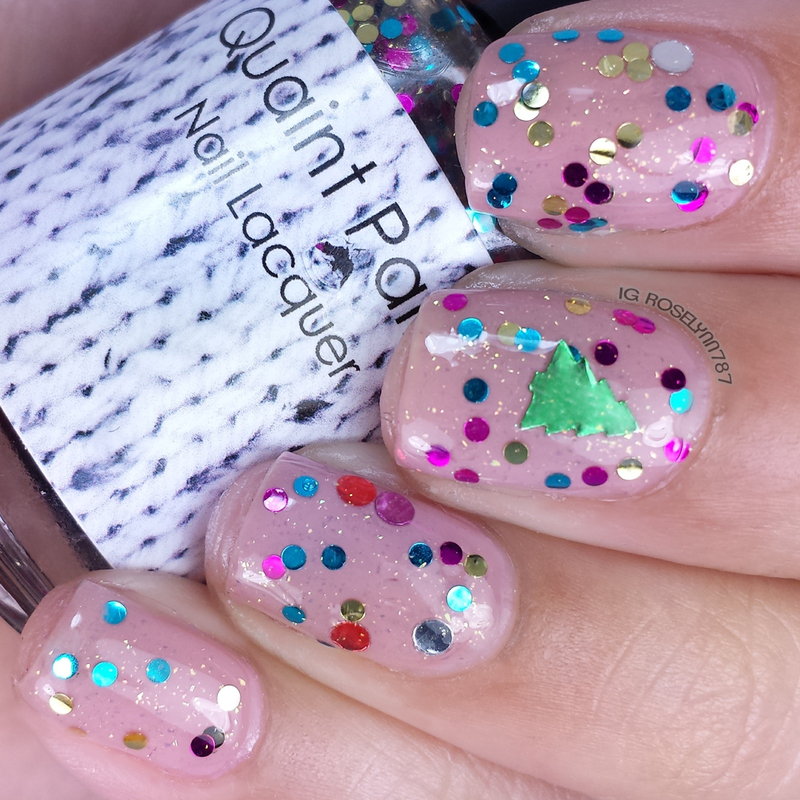 Laura, creator of Quaint Paints Lacquer, has sent me her Holiday 2014 Trio to swatch and review for you guys. I think you guys are going to love these glitter toppers so let's get started. The Holiday 2014 Trio by Quaint Paints Lacquer are already available for purchase through her Etsy shop. Each polish retails individually at $10.00 for a full size .5 Fl Oz bottle. Polishin' Around the Christmas Tree is a topper filled with large metallic dot glitters in many different colors. This polish also has a sprinkle of gold glass fleck shimmer to accompany the glitter madness. You guys are in for a treat because this festive polish is also scented! The scent is a light orange and pine-tree combination that is not overwhelming whatsoever. Very pleasant. I always crave more scented polishes, but it's so rare to find ones that aren't intense. For those of you who are absolutely against scented polishes, this can be made unscented as well so no worries there. For these swatches, I dabbed two thin coats over Zoya's Rue and sealed it off with a topcoat. Formula was a little runny for me and caused my base to smear a little bit. I suggest dabbing very carefully and using glitter placement to get good coverage. The little tree glitters definitely have to be fished out, but it's quite easy if you leave the bottle upside for a bit. Let It Glow is a topper filled with holographic silver hexes, snowflakes, and flakes. 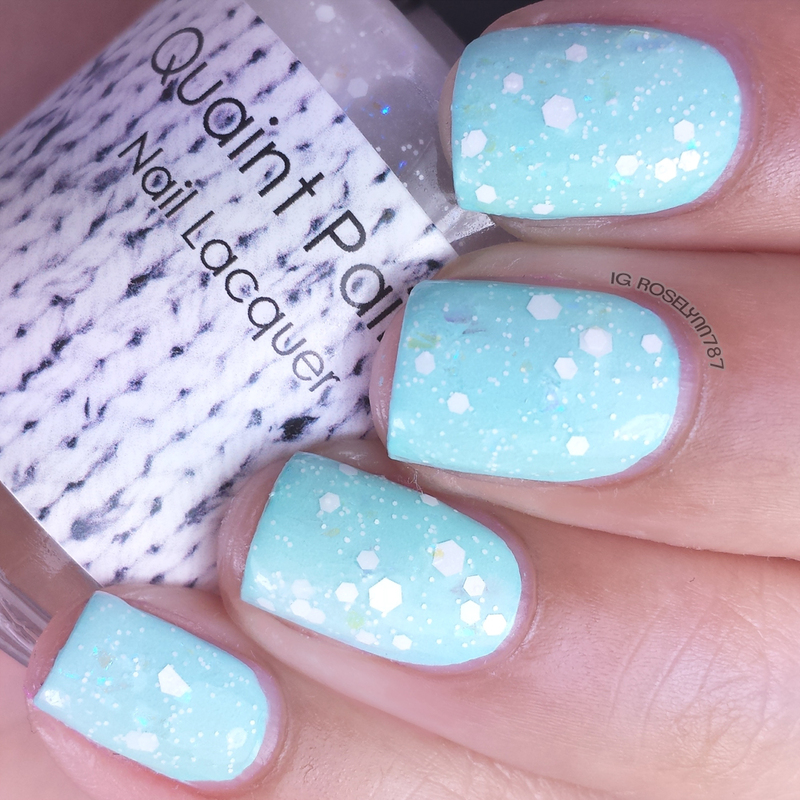 The iridescent glitter in this beauty causes it to have a light blue to green color shift. This glitter topper is more than just sparkles because glows turquoise in the dark! In order to have an intense glow you have to charge the polish under a light source. I pretty much just left mine underneath a lightbulb for thirty minutes and that was enough of a charge to last me the whole night. The larger snowflakes do have to be fished out, but otherwise this dabs on quite nicely in just two to three coats. 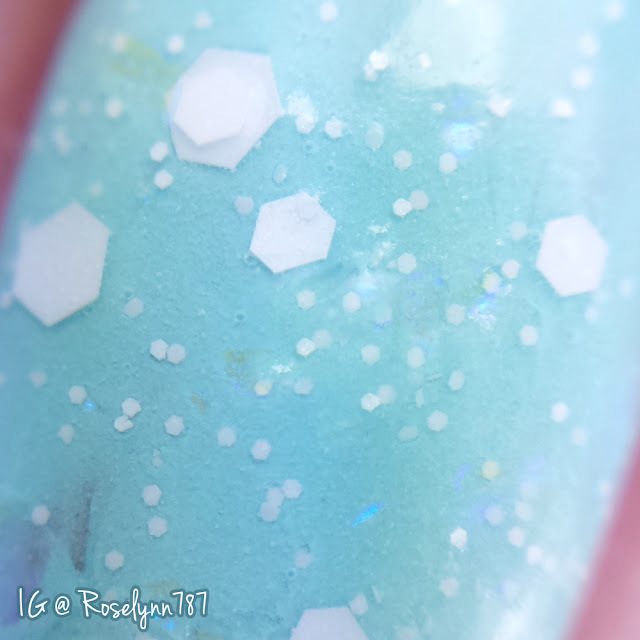 I prefer the glitter topper without the snowflakes, but you can see how it looks both ways. 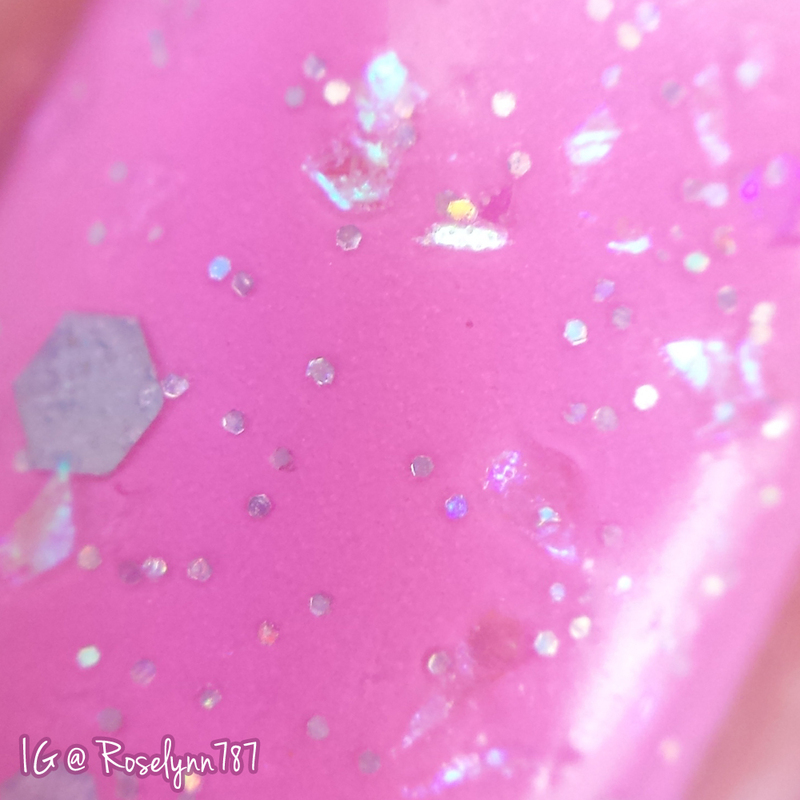 For these swatches, I dabbed two thin coats over Zoya's Kitridge, and sealed with a topcoat. 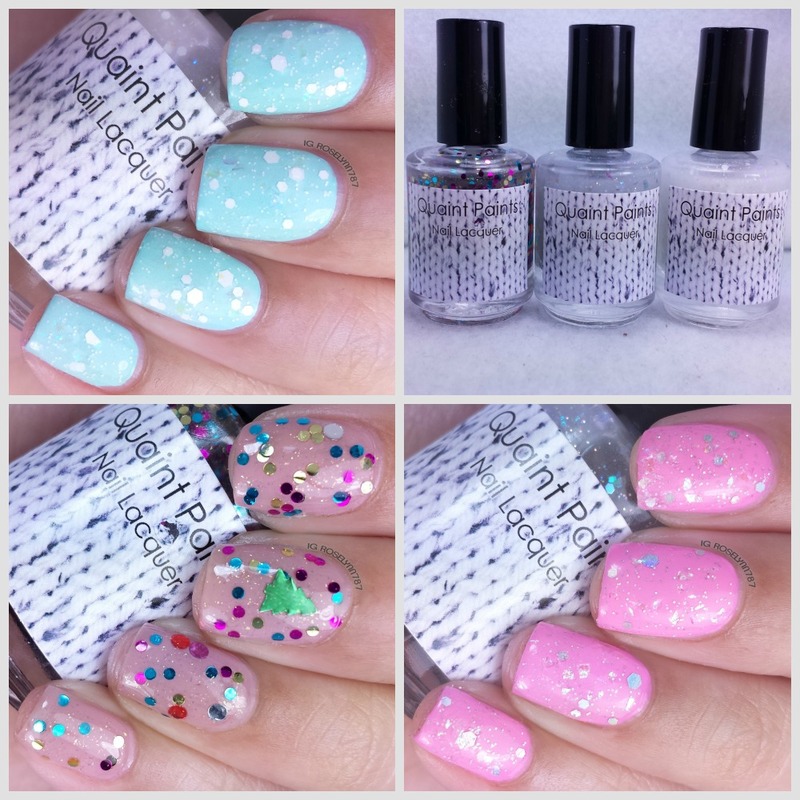 Dreaming of a Bright Christmas is a glitter topper filled with white snowflakes and various sized white hex glitters. 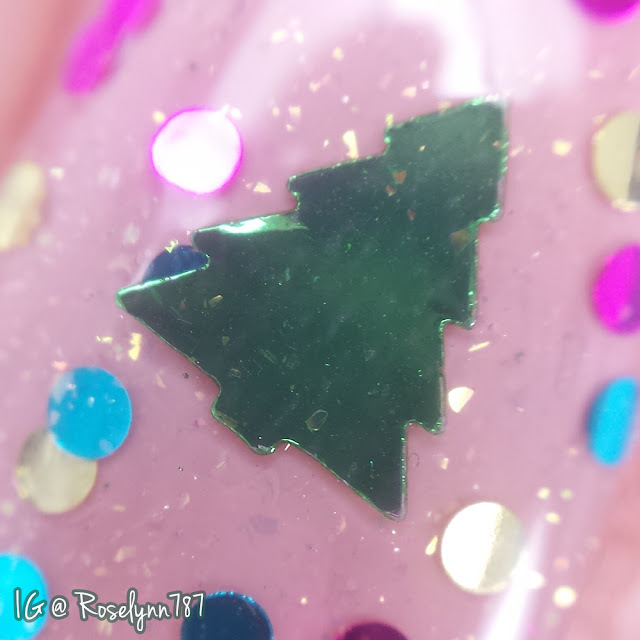 This topper is also laced with iridescent shard glitters that have a purple-ish color shift. And this one glows in the dark as well! 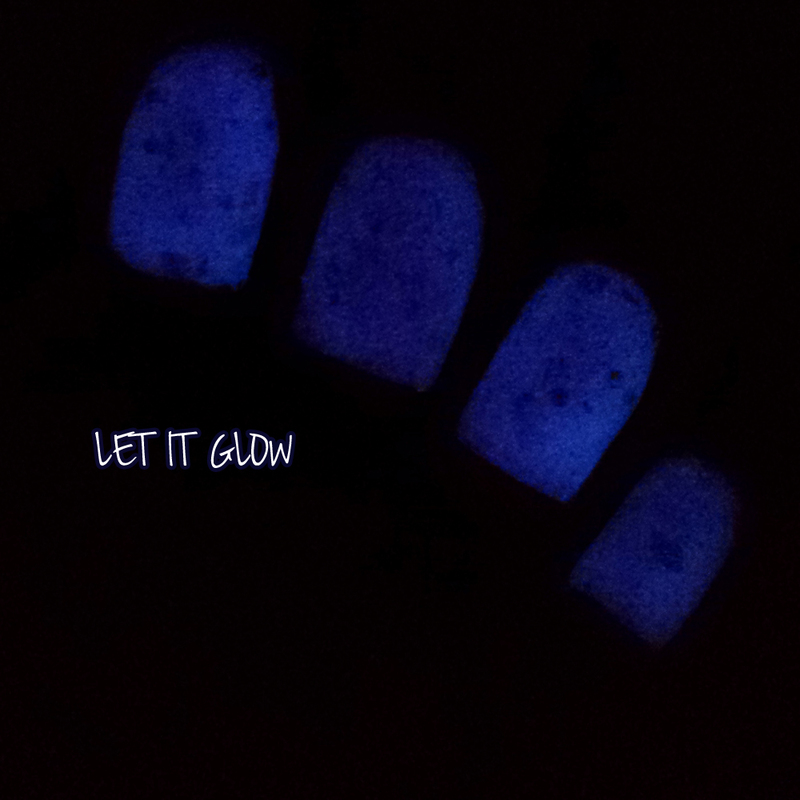 Ah, I never through I'd see glow in the dark polishes for the holidays and I'm in love with them. This is definitely on my must-have list. 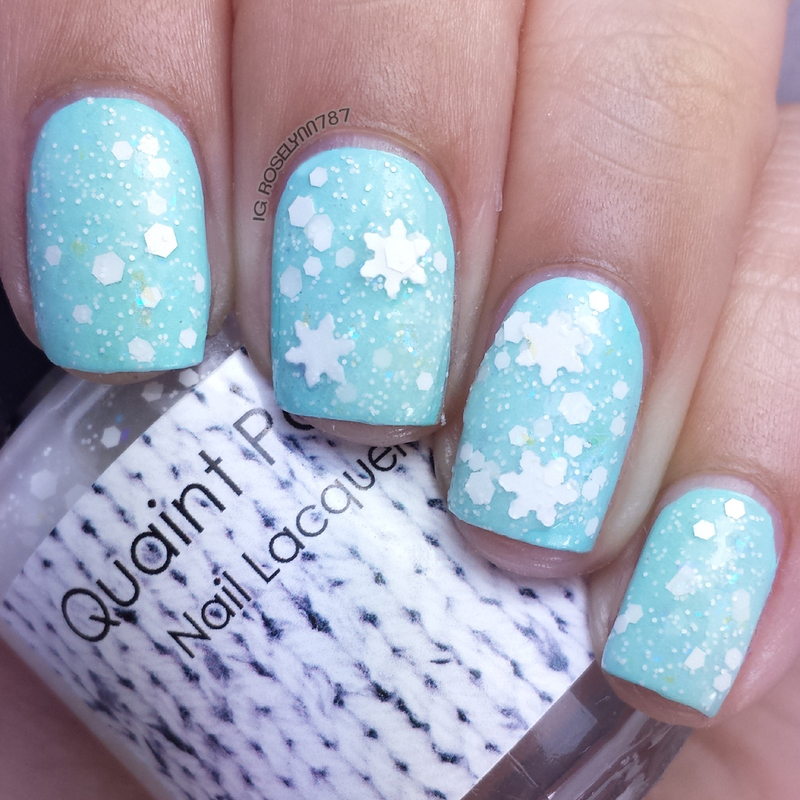 Again, I preferred this one without the snowflakes but I included them in the swatch so you could get a feel for them. Like with all larger glitters, you do have to fish out the snowflakes. But you get ideal placement because of the fishing and if you prefer not to use them then you have a lovely topper for after the holiday season. Formula otherwise isn't bad and has a relatively quick dry-time. Just like Let It Glow, I dabbed two thin coats over Rica's Robin Egg Blue and sealed with a topcoat. 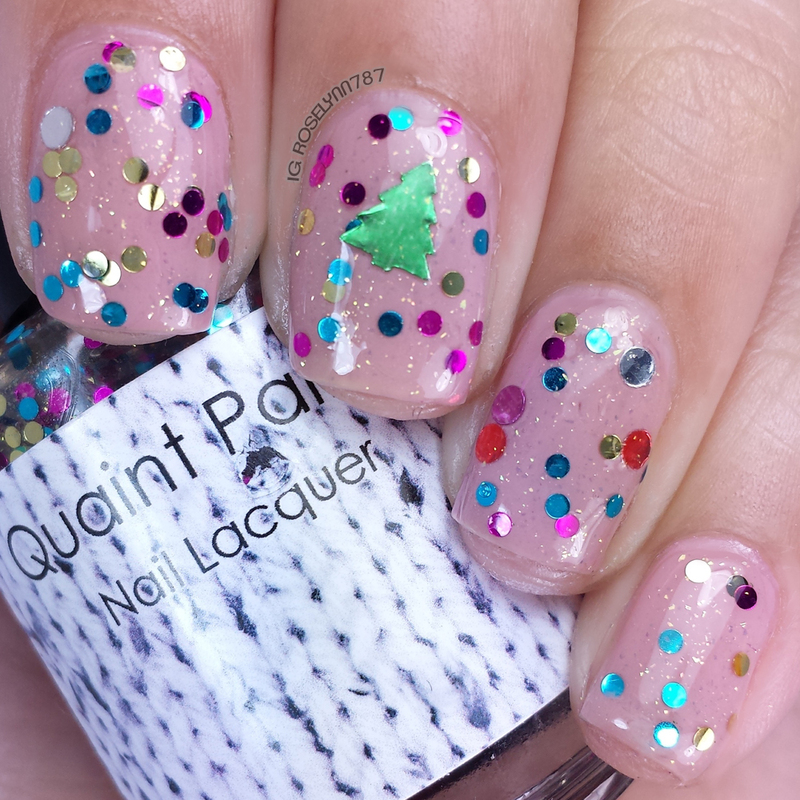 Overall the Holiday 2014 Trio by Quaint Paints Lacquer packs quite a cutesy punch. 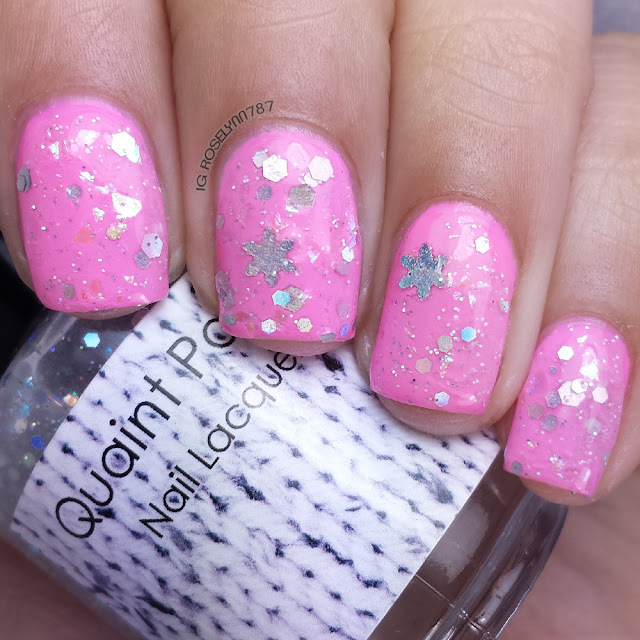 If you're a big fan of glitter toppers, like I am, then you'll definitely love these. I think the glowing and the scent adds a nice touch to really stand out amongst the endless sea of holiday polishes. As I mentioned in a previous post, I adore glitter toppers for the holiday season because of the variation of bases they can be used with. If I have to pick an absolute favorite then I have to lean towards Dreaming of a Bright Christmas. 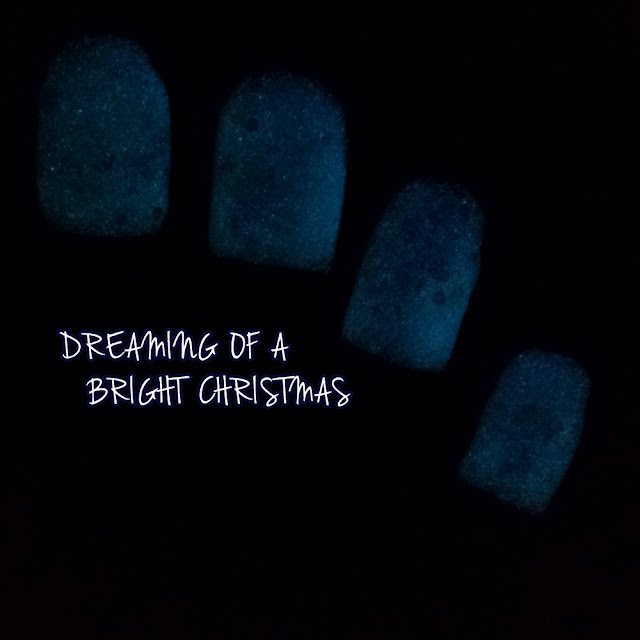 I've been looking for a topper with white hex glitters for months and the fact that this one glows in the dark is blowing my mind. The only negative for me personally is the amount of fishing needed to acquire the snowflakes with the two glow in the dark. If you don't have patience or if the snowflakes are what's luring you into these than tread carefully. That said, Quaint Paints Lacquer is definitely an indie I will be keeping an eye on as we approach the new year. These polishes have left a pleasant impression on me and if these are any indication then we are going to be in for a treat in the near future. I loved polishin around the Christmas tree and let it glow. I was pleasantly surprised by the scent! Right! It was very unexpected as I've had terrible luck with scented polishes in the past.